Find My Workspace lists over 95% of the serviced offices market in Doha. Simply click Request Quote to check pricing for one office, or Add to Basket for multiple offices. This state-of-the-art, fully serviced office space on the 1st floor of Jaidah Square, a brand new seven-storey commercial building right in the heart of Doha’s business hub. The building includes a fitness centre, restaurant, coffee shop, and even a children’s creche for those employees with young families. Within the space, you can benefit from a great range of facilities, such as a board room, well designed breakout/lounge space, and even videoconferencing facilities. There is a secretary team that will handle your telephone answering for you, and greet your visiting clients to leave a lasting impression. World-class fully furnished and serviced offices in Al Fardan Towers complex in the heart of the city’s business district. The building contains a variety of boutique shops, cafés and restaurants. 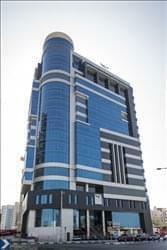 Fully serviced offices in a new building close to the international airport on one of the city’s major arterial roads. This project won the Arabia Property Award in 2012, is the newest and only commercial space developed in the north of Doha along Al Shamal Expressway. The development is positioned to benefit from development in Doha’s strong northern population growth corridor. The office complex consist six buildings providing in total 45,000 square meters of leasable space. Each building has its own individual underground private parking. Each floor has a completely open floor plan, allowing for a flexible layout. Additional units for electricity and plumbing have been conveniently build into the space to allow for the addition of escalators, elevators, wash closets and pantries. Half of the ground floor has a double story ceiling opening the space up to the second floor. Occupants will have direct access to North Gate Mall. This space is situated in downtown Doha, a prestigious place to do business. The contemporary building brings together offices and commercial space, so even when you stay in the office, you are surrounded by an abundance of amenities, such as restaurants, coffee shops, and retailers. The space has access to regular bus services, making member’s commute to work nice and easy. For those who prefer to drive to work, there is a secure underground parking for you and your clients. The centre offers an on-site fitness centre is ideal for an after-work workout, as well as videoconferencing, great for you can bring people together. 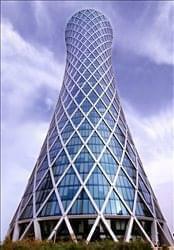 This accommodating centre is located in an impressive building in the heart of Qatar’s Capital city. The space offers a variety of office options to its members- with access to meeting rooms, lounge areas and a fully functioning kitchen this space is a great place to nurture and grow your business. The centre also has a friendly on-site management team who can help with your unique business needs. In addition, this centre offers cutting-edge facilities to enhance businesses success; such as high-speed shared internet, board room, IT support and open-plan offices for maximum flexibility/adaptability. prices. Included in this package is an amazing reception of Granit with leather furniture, 24‐hour access, smart office broadband, access to a global network of 120 locations worldwide, the ability to print to any location worldwide, access to fully furnished meeting rooms, kitchen and bathroom facilities. Moreover, it offers the assistance of a welcoming and warming professional bilingual team. 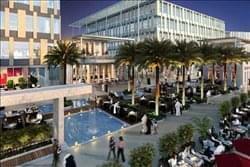 Located in the heart of West Bay, the central business district in Qatar, Commercialbank offers spectacular views of West Bay and the green corniche. 5 Star serviced offices located on the 21st floor of a A-grade building centrally located on the Corniche road in the diverse business district of West Bay. This location offers luxurious and fully furnished offices with panoramic views over Doha’s skyline and Corniche promenade. This space is accessible 24/7 with 24-hour security so you can work through late hours with peace of mind; particularly ideal for companies with clients across different time zones. Furthermore, you can benefit greatly from this centre’s cutting-edge facilities that will enable your business to flourish, such as administrative/IT support, meeting rooms, on-site parking, high-speed shared internet and comfort cooling. This modern business centre offers serviced offices as the ideal solution for companies looking to operate as smoothly as possible. This new building is a gem of modern architecture, paying homage to the region’s rich history and culture whilst enlisting modern building techniques. Here, you are surrounded by an oasis of calm and bright space, with distinctive modern lines. The space is designed to increase your productivity. 24-hour access and administrative support from a friendly team ensures you can work as efficiently as possible, and high speed WiFi will ensure you stay connected. Breakout and lounge spaces are available where you can relax, along with an on-site café. With plenty of other enterprises in the neighbourhood there is also plenty of opportunity for networking. This work space is located in a new, modern building with a contemporary design, as well as large windows that allow an abundance of natural light to enhance focus and productivity. The space provides members with convenient parking options for you and your business guests as well as a high-speed internet connection. The centre offers members beautiful views of the city of Doha and gives members access to meeting rooms and business lounges, enabling work on the move. This centre is emblematic of its accommodating services, with hot-desking options, air conditioning and conference facilities for collaborative projects/negotiations. This center now offers virtual offices. Get connected. Professional mobility starts here! This limited offer is designed to take your company virtually anywhere and set its footprint in different time zones. Run your business like a multinational, on a smart budget! This package includes a business landline and fax number (selected by you! ), a prestigious business address with a receptionist answering your calls, in your company name. You will have access to conference rooms and business lounges, as well as a PO Box, mail forwarding, fax forwarding and a hot desk. This centre spans over 2,800 sq m and offers two floors of 90 fully furnished offices with a total capacity of 203 workstations. All the offices and common areas have top-of-the-line finishes with modern, ergonomic, and trendy interiors. The centre is also equipped with an in-house fitness centre, cyber café, kitchen catering facilities, common reception lounge, high speed communication and Internet services, as well as a variety of meeting and conference rooms that can cater for up to 86 attendees. In a breathtaking skyscraper in the city’s most stunning surroundings, right on the waterfront promenade the centre offers gorgeous views of the beautiful coastline from the seventh floor. Professional meeting rooms and business lounge access for meetings or quick catch-ups with your team. Voicemail services ensure that you don’t miss anything and there is convenient parking for your staff and guests. In addition, your business can also benefit from the centre’s reception services that will greet your clients in a professional, courteous way that is sure to impress them as soon as they step through the door. This accommodating centre is located in a secluded island location, in some of Qatar’s most prestigious surroundings that will give your business an impressive presence. The space benefits from secure underground parking for both you and your clients, as well as business lounge access, giving members access to just drop in and work. In addition, it is accessible 24/7; perfect for businesses with international clients across different time zones. The space includes private meeting rooms, fitted with cutting-edge equipment. High-end hotels and amenities are situated locally to the centre, which is great for visiting clients and executives. This centre is located in the heart of Doha city and offers members a prime location to develop and grow their businesses. The work space offers amenities such as access to meeting rooms, lounge areas, a fully functioning kitchen area and an on-site management team to help with any of your unique business needs. This space provides an inspiring and productive working atmosphere, with comfort cooling to ensure a comfortable environment throughout the year. Here, you can take advantage of complementary beverages so you can recharge throughout the day. This is the ideal work space solution for ambitious businesses of any background. This office space in Doha’s Twin Towers is one of the region’s most prestigious business addresses which you can benefit from. The tower is home to 50 floors, an on-site restaurants and entertainment facilities. You can be a neighbour to big corporate names, a five-star hotel, fitness centre and elegant coffee shops. There is plenty to do during your break and to keep you relaxed. The working environment of this business centre offers a refreshing atmosphere, with plenty of natural light. You will also benefit from stunning views of the Lusail Marina. In the heart of West Bay Doha business district, this exquisitely fitted landmark building is hard to miss with its 52 floors and unique architectural shape. It offers stunning panoramic views over the incredible city of Doha and the wider cornice area. The technologically advanced, well-equipped and innovative corporate tower has a gym on the 27th floor, a café on the mezzanine floor and a fine-dining restaurant opening soon on the 28th floor. With its prestigious tenant list, central location and modern facilities, this is one of the most sought-after business addresses in the Doha CBD area. To obtain information for your selected Doha Serviced Offices, please tick the "Add to basket" box for each office you prefer and complete the form below. We will then send a detailed report via email.